The AMD Radeon R5 (Carrizo) is an integrated graphics card for a number of low-end mobile Carrizo-based APUs, such as those from the A6 series. It was first introduced in the AMD A6-8500P with 4 active compute cores for a total of 256 shader cores. The maximum GPU clock speed in the A6-8500P is 800 MHz. Performance depends on the main memory configuration and TDP setting, which can range anywhere from 12 to 35 Watt. The Radeon R5 utilizes the third generation GCN architecture (sometimes referred to as GCN 1.2) similar to the desktop Tonga chip. As a result, it supports DirectX 12 (FL 12_0) with advanced color compression that leads to a 5-7% improvement in games. Furthermore, its shaders can be used with Mantle, OpenGL and OpenCL. 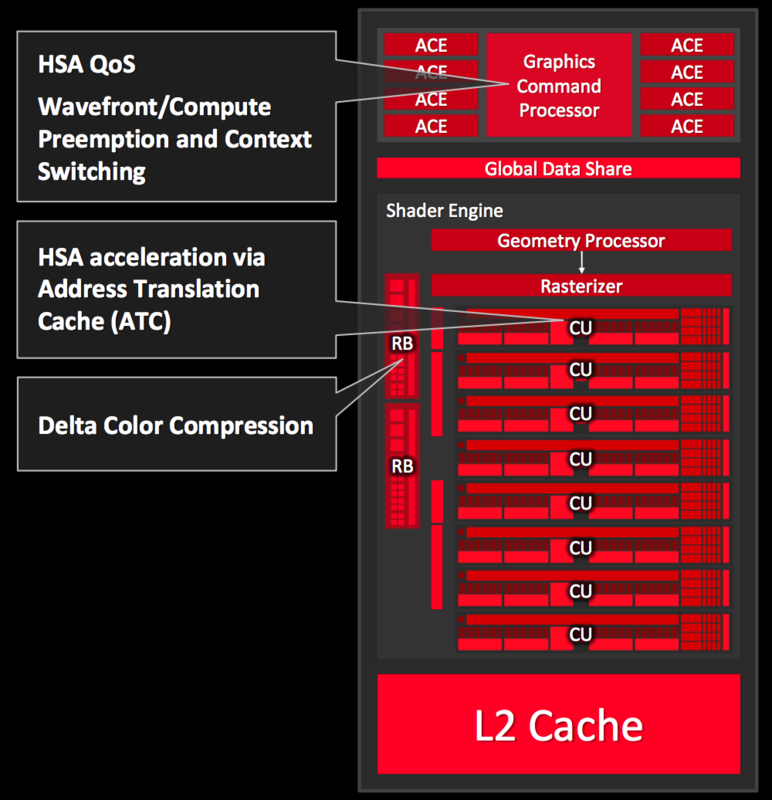 HSA 1.0 is supported for running code on both CPU and GPU cores simultaneously. The improved video decoder UVD 6 (Unified Video Decoder) is now able to decode HVEC / H.265 up to 4K in hardware. Furthermore, the VCE (Video Codec Engine) has been improved for faster transcoding of H.264. Gaming performance of the integrated R5 GPU depends on the configured TDP (12 - 35 Watt) of the APU. In most laptops we should see a TDP of 15 Watt, which is similar to the mainstream Intel CPUs. Therefore, the performance of the R5 should be similar to the Intel HD Graphics 5500. In some games, the slower AMD CPU may bottleneck performance in direct comparisons to Intel hardware. Depending on the configured TDP, the chip may be used in thin-and-light (12 - 20 Watt range) to standard-sized laptops (35 Watt TDP).